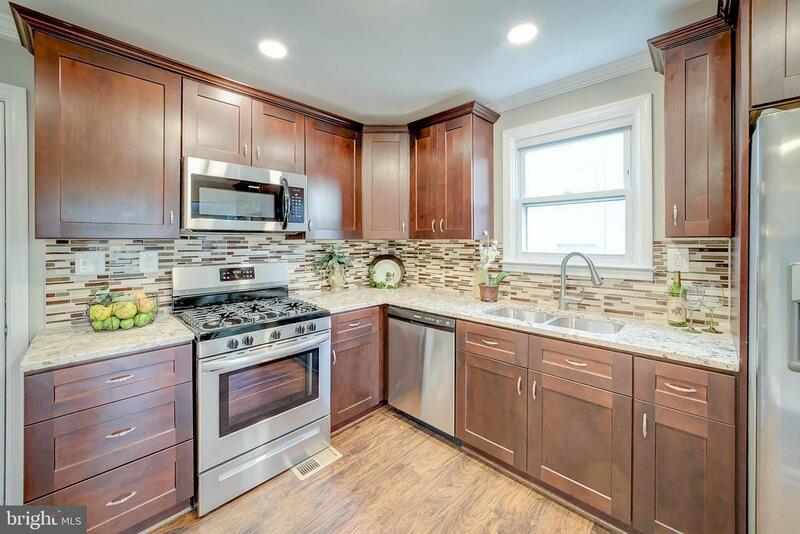 Another wonderful renovation on 3-4 bedroom Cape Cod with 2.5 bath and full -partly finished basement. Property has new Stainless and Granite kitchen, New tiled baths, new roof, new flooring, new paint, new windows, new lights and fans, etc, Property also boasts a huge Sunroom, fenced yard and front porch. So convenient to all major routes and community amenities.